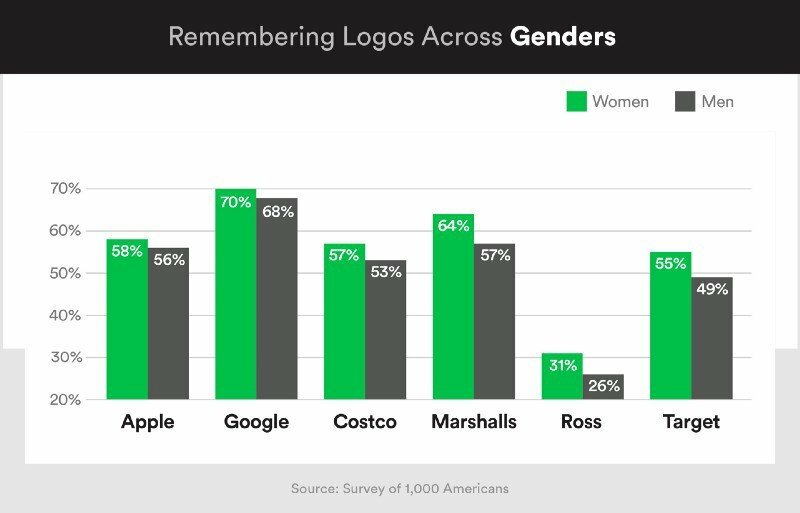 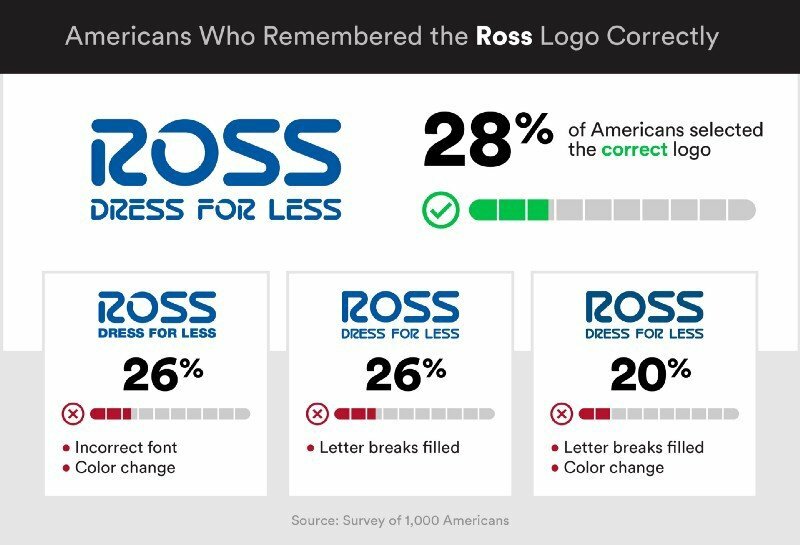 Last year we asked “How accurately can people draw famous logos from memory?” The results were dismal, with about 6% to 20% being able to accurately sketch the logos for Adidas, Apple, Burger King, Dominos, Foot Locker, Target and others. 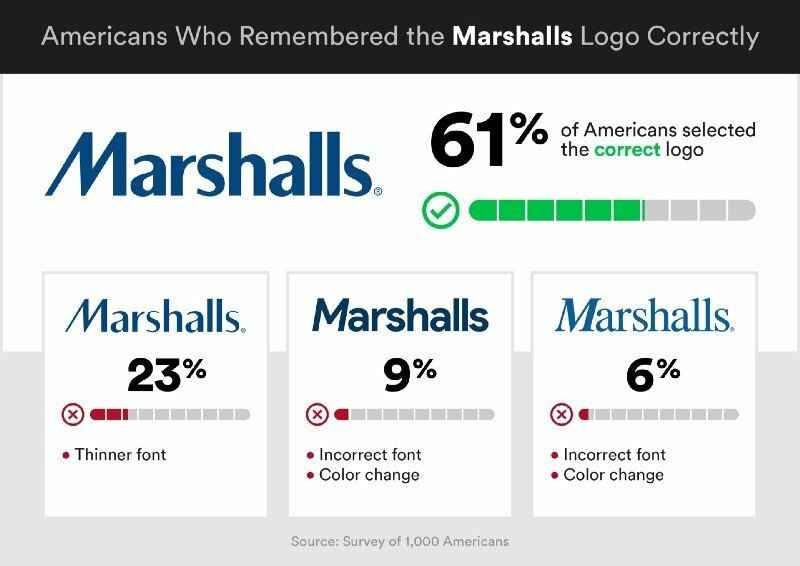 Now let’s lower the bar. 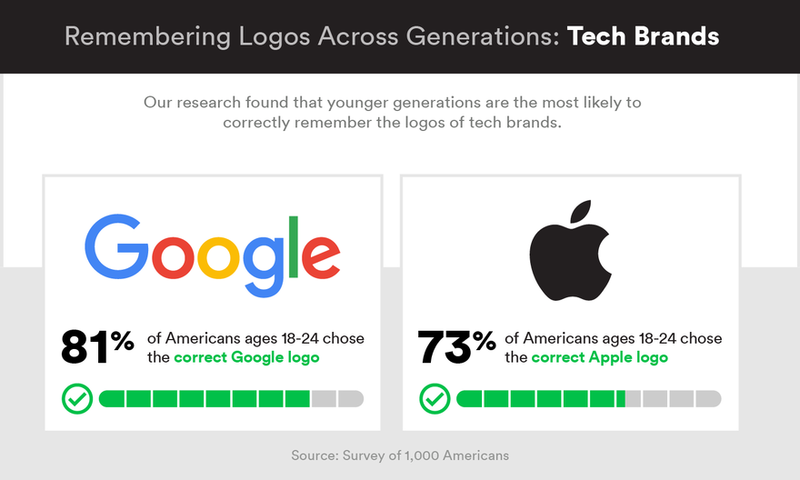 Forget drawing them–can you simply recognize them, picking the correct logo out of a lineup? 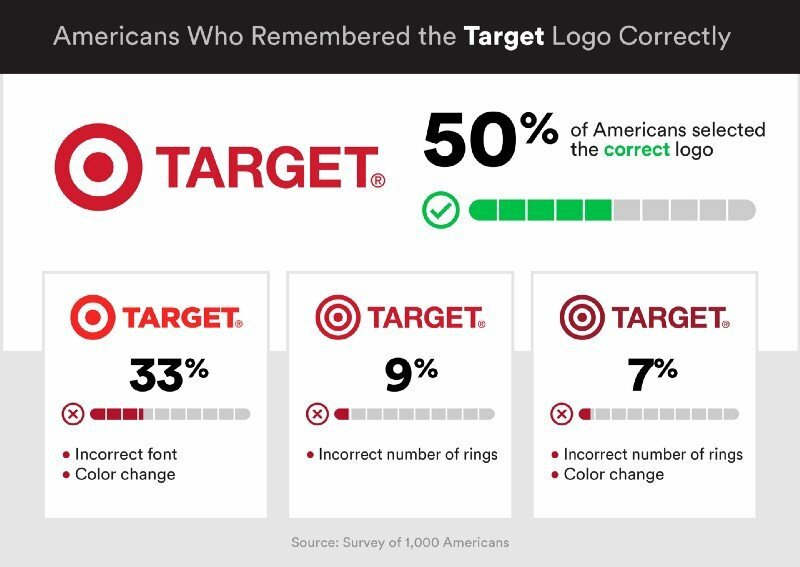 You probably know the Target logo is red, but how many circles are in the bullseye? 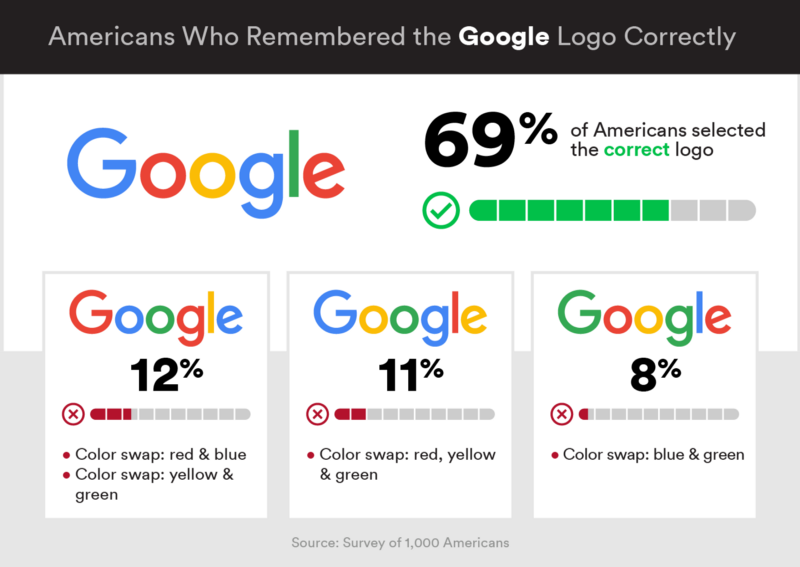 What’s the color of the first letter in Google’s logo? 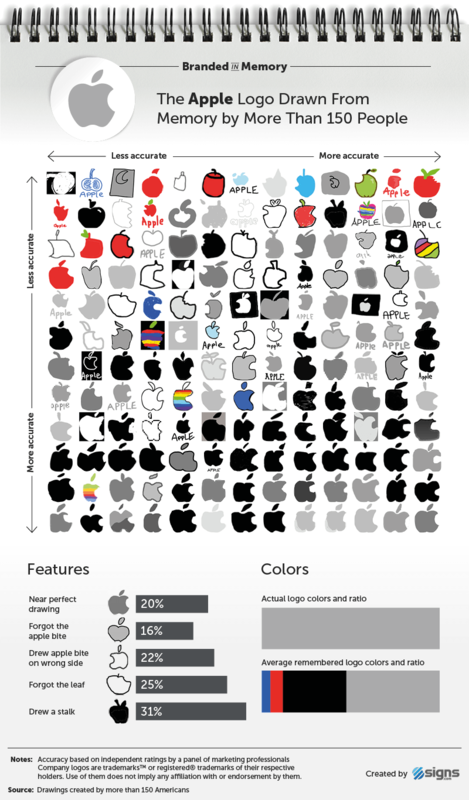 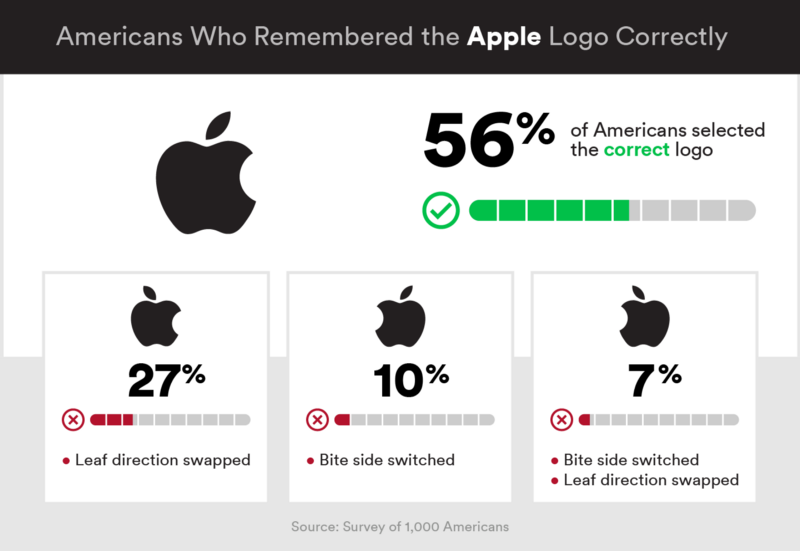 Which side of the Apple is the bite on? 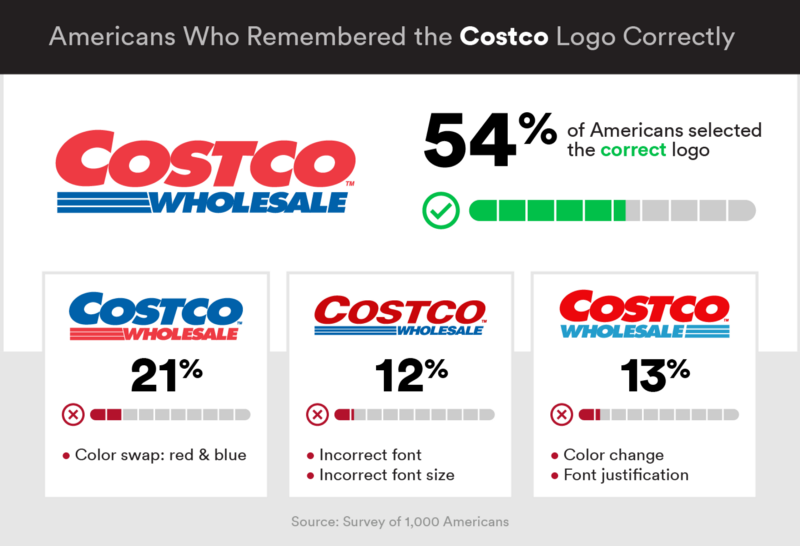 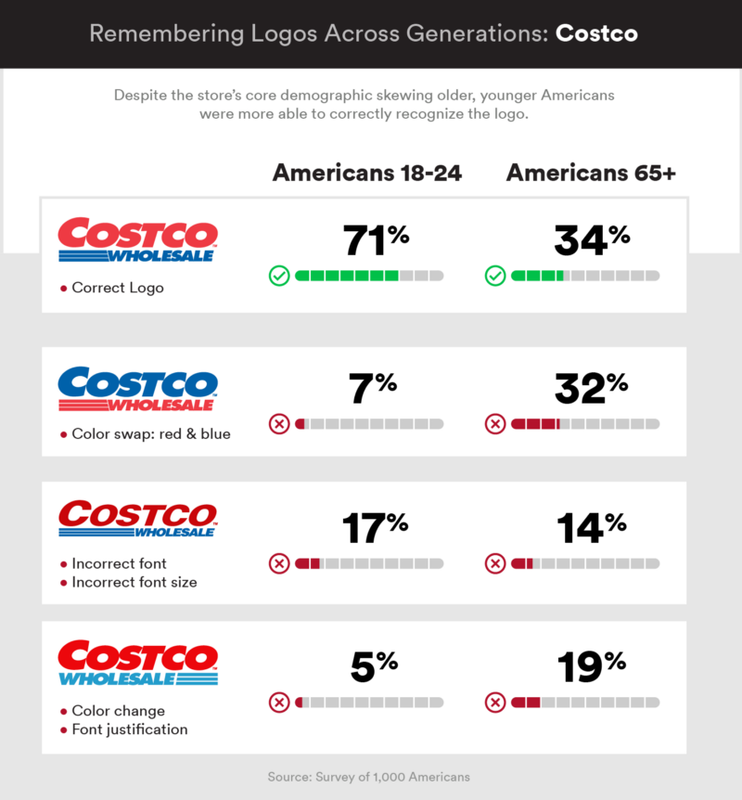 I’m not sure if the marketing agency who conducted this study is reading this, but I think they would’ve gotten a lot more traction if they’d released these as an online quiz, rather than just releasing the results.